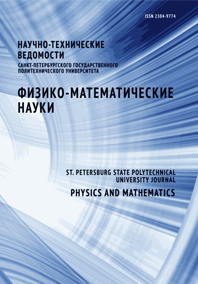 Komarova Olga S. Martynova Olga A. Gasumyants Vitaly E.
The temperature and concentration dependences of the thermopower in Nd[2–x]Ce[x]CuO[y] (х = 0.025 – 0.250) system have been analyzed using three models of the electron transport, i.e. Xin's two-band model, two band model with a linear T-term and narrow-band model. It is shown, that the best agreement of the experimental and calculated results can be achieved in the framework of the narrow-band model. The model parameters in studied samples were determined and a character of their variation with increasing cerium content was analyzed. This allows us to confirm the validity of the supposition that a new narrow conduction band is formed in the NdCuO[y] energy spectrum under cerium doping.